AFRICANGLOBE – One of the newest and most popular outlets for technological gadgets in Windhoek, Gadgets Namibia, yesterday said demand for Africa’s first mobile devices brand, mi-Fone, is increasing at a rapid rate. According to the Sales and Marketing Manager at Gadgets Namibia, Julia Shilunga, sales for mi-Fone, which was established in Uganda in 2008, have been increasing to the extent that customers visit the store at Windhoek’s Old Power Station and specifically ask for the mi-Fone brand. Shilunga explained that Gadgets Namibia offers the entire range of mi-Fone products, ranging in price from N$299 from the bottom of the range to N$3,800 for the top of the range model. The mi-Fone brand utilizes the Android operating system, including Jellybean and Ginger versions. “I would compare the top of the range mi-Fone product to the Samsung S3,” said Shilunga when asked how the African phone holds up to its competitors. Mi-Fone currently has a footprint in over 15 countries throughout Africa, and is expected to rapidly grow over the next five years. 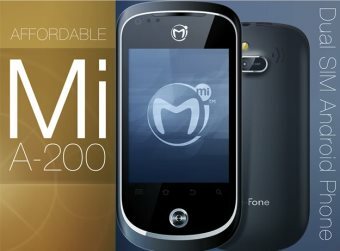 mi-Fone was founded in 2008 by Ugandan Alpesh Patel. Patel made a name for himself selling large volumes of mobile devices to the Chinese back in the 1990s. Alpesh founded Mi-Fone in 2008, after leaving Motorola where he was their director of sales in Africa. Whilst there he realised that the big brands were missing the point and that ultimately Africa is best served by Africans themselves. Gadgets Namibia, which has outlets in Rundu, Windhoek’s Maerua Mall and Windhoek’s Old Power Station, also stocks the latest iPhones, as well as phone covers and a host of other popular gadgets. The wholly-owned Namibian company offers services that include network and security camera installations, and can advise on electronic layouts for both corporates and individuals.